Last week, we had the chance to entertain our first guest in our new place! 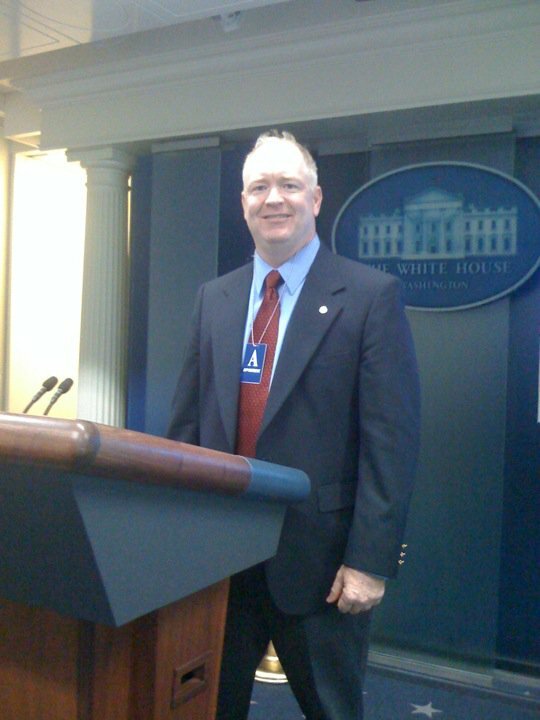 A friend of Michael's from way back in his childhood days (kudos to Facebook for re-connecting them) Tim Rose, met me at the White House for a little press room tour, then he came over for dinner. Tim has one of those fascinating, super cool jobs that I could hear him talk forever and forever about! You can just tell he is a salt of the Earth kind of guy. He was a joy to have over. I forgot to take any pictures of dinner, but yes, it was a success! There were Pumpkin Chocolate Chip cookies involved. My first batch of the season, and they just never disappoint. We're hoping Tim can come back to visit us again soon! Maybe next time, with his wife and kiddos.